The style that is introduced into an interior by brilliant ceiling pendant bar lights is one which is very fashionable, and helps to create a calm and elegant image for your home. This Dijon 3 Light Ceiling Pendant Bar with Copper Mesh and Glass Shades – Chrome is a brilliant example of a fitting which is more than capable of introducing a stunning new style to your home whilst also giving out very useful and effective lighting which can be utilised at any time it is needed. 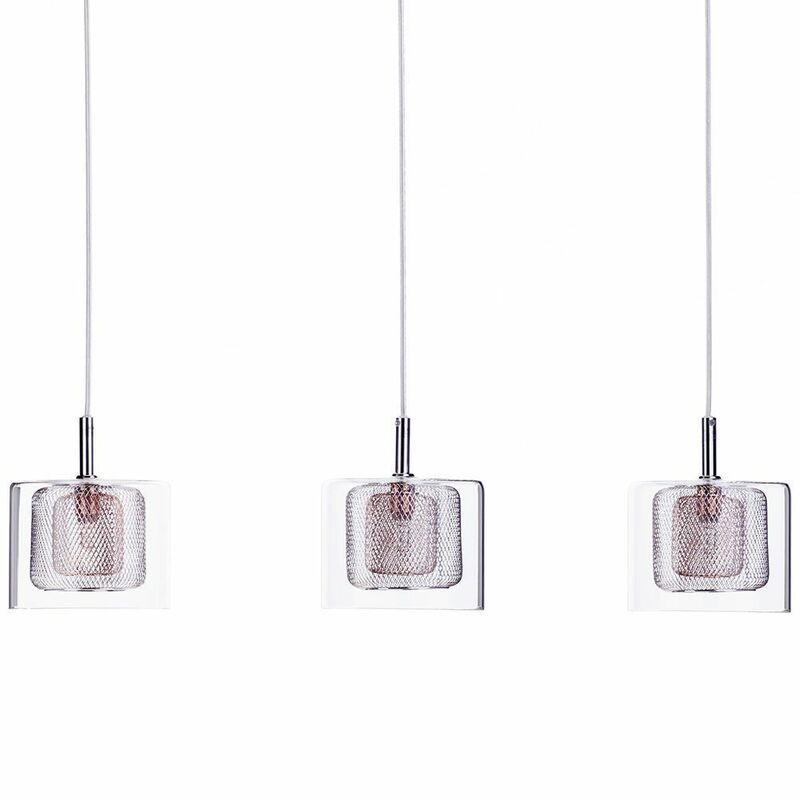 The bar has 3 individual pendants hanging down vertically, and at the bottom of each wire there is a stunning light feature which gives a very unique look to your home thanks to the unusual design. This light fitting has a three layered shade, with two inner copper shades and an outer glass case. This gives an industrial style thanks to the copper effect, and also a softer style of lighting courtesy of the glass filtration. This fitting comes from the wonderful Visconte range is finished in a marvellous chrome effect, offering a modern and contemporary image which is perfect for urban homes.